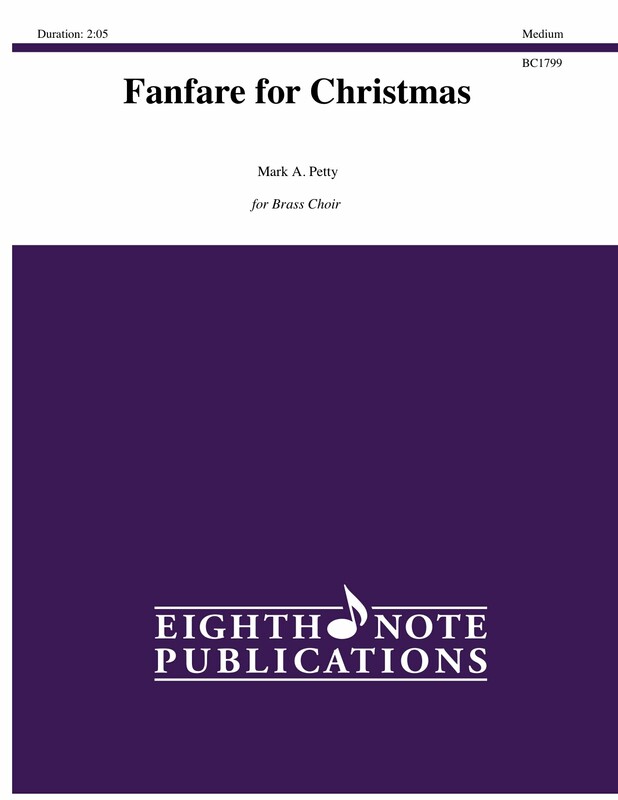 Fanfare for Christmas uses parts of several well-known Christmas carols and features each of the different brass voice choirs: trumpet, horn, trombone and tuba/euphonium. There are three optional percussion parts. This 2 minute fanfare has a bold beginning, softer middle section and a grand finale. Fanfare for Christmas is a great way to open a Christmas program.